Dr. Marion McMillan discussed back issues this week on The Weekly Check-Up. A herniated/slipped disk occurs when all or part of a spinal disk is forced through a weakened part of the disk. There is a genetic link. PPQRST-Palliative, Provocative, Quality, Radiation, Severity, and Timing; these are the questions your physician should ask you about. #1 complaint from patients is back pain. 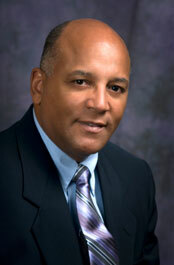 A native of Atlanta, Georgia, Dr. McMillan of the Synergy Spine Center attended Southwest High School and received his Bachelor of Science degree from Yale University. He attended Tufts Medical School and is Board Certified in Internal Medicine and Anesthesiology, and completed fellowship training in Interventional Pain Management at the University of Pennsylvania in Philadelphia. Dr. McMillan has extensive postgraduate training and experience in spinal medicine and minimally invasive spinal surgery including endoscopic spinal surgery and laser assisted methods of percutaneous disc surgery. He pioneered percutaneous laser discectomy at Synergy Spine Center in Upstate South Carolina in 2005 and introduced outpatient full endoscopic spinal surgery for the treatment of herniated disc and spinal stenosis in 2007. At this writing, Synergy Spine Center is the only spine care facility in the United States to offer outpatient full endoscopic spinal surgery for correction of spinal stenosis. Spinal stenosis affects up to 40% of patients over the age of 60 causing progressive back pain and disability which interferes with standing, walking, and normal activities. Full endoscopic spinal surgery for spinal stenosis is routinely performed on outpatients under local anesthesia and avoids hospitalization and the complications associated with traditional open spinal surgery or spinal fusion operations. Full endoscopic spinal surgery has been proven in randomized controlled clinical trials to be a safe and effective alternative to traditional open spinal surgery for spinal stenosis and herniated disc.